With smartphones poised to be the fastest growing handset segment, RIM is bound to face increased competition from Apple (NASDAQ: AAPL), Nokia (NYSE:NOK), HTC (TPE:2498), Samsung (SEO:A009150), Motorola (NYSE:MOT), and other new entrants. The increasing popularity of Apple’s iPhone and the rapid onslaught of Android-based smartphones will surely lead to their increased adoption in the corporate world, thus loosening RIM’s stronghold on the enterprise domain. This heat of competition is reflected in the >30% decline of RIM’s (NASDAQ: RIMM) stock value over the last 3 months. Expand into Emerging Markets (BRIC – Brazil, Russia, India, China) via enterprises, where GPRS/EDGE is still the norm and is adequate for Email/IM etc. Maintain strong relationships with enterprise mobility managed service/infrastructure providers such as IBM (NYSE:IBM), Cisco (NASDAQ:CSCO), Accenture (NYSE: ACN), Oracle (NASDAQ:ORCL), SAP (NYSE: SAP), etc. RIM is still a strong player and has considerable room for growth if it keeps a razor sharp focus on leveraging its core competencies into new markets within the enterprise and outside. With the rapid growth of data centric smartphones and embedded broadband consumer devices (netbooks, smartbooks, e-readers, mediaphones, etc. ), it is clear that the future of wireless is in intelligent web-centric connected devices, applications, and managed services. Battered by decreasing margins in its handset business, aggressive competitors (e.g. Samsung) nipping at its market share, and intensified competition by disruptive new entrants (Apple, RIM, Google, HTC) in the growing and profitable smartphone segment, Nokia is fighting to regain its innovative edge and find a niche in applications, services, and markets where they will have a sustained competitive advantage and profitable revenue growth. The one mobile frontier that has shown a lot of promise but has hardly gained momentum is mobile commerce or m-banking. Rather than technical gaps, the most challenging hurdles remain around business issues. NOKIA MONEY, a new mobile financial service that offers consumers access to basic financial services via mobile devices, is poised to be that silver bullet which transforms Nokia into a revenue generating juggernaut over the long run. It promises to give a boost to mobile-commerce via NFC (near-field communications), that has long been touted as the technology that will bring about a profound impact on the payment transaction world. 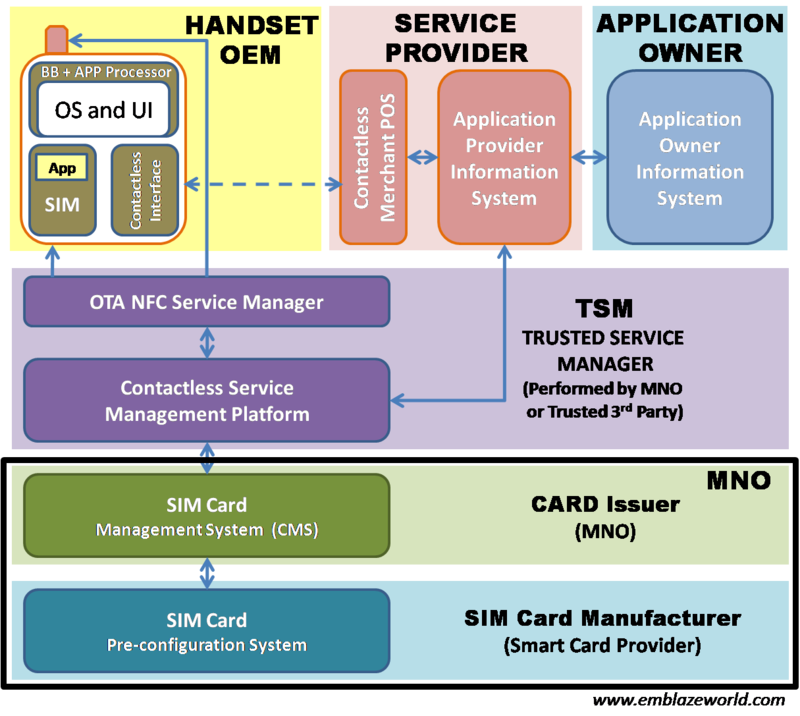 Near Field Communication (NFC) is a standards based wireless communication technology (ISO/IEC 18092 and ECMA-340) allowing two devices to communicate over a short distance of less than 10 cm. The technology is an extension of the ISO 14443 contactless card standard, RFID, that combines the interface of an ISO 7816 smartcard and an RFID reader into a single device. The ubiquitous nature of mobile phones makes these the ideal device to place NFC chip technology. NFC-enabled mobile handsets can communicate with the present ISO 14443 contactless cards and readers. The mobile handset becomes the subscriber’s key for authorizing payments, accessing services and getting information from their immediate environment. This makes the NFC-enabled handset compatible with existing contactless infrastructure as used in public transport and payment applications. Its short range provides a degree of security: the user can establish a connection between two devices by simply bringing them together, versus a more complex pairing process (e.g. Bluetooth). Rather than technical gaps, the most challenging hurdles remain around business issues. WHY IS NOKIA MONEY PROMISING? With NOKIA MONEY, Nokia calls the shots….and promises to provide the momentum to mobile commerce in mass markets that has largely been elusive. ►Nokia has a large footprint in emerging markets (e.g. over 70% in India). ► Nokia could make a significant headway in introducing m-commerce before other e-payment methods reach mass markets. Credit card penetration in emerging markets is still very small. Also, cell phone penetration is far greater (and increasing even more rapidly) in comparison with desktop computers and laptops. ►Nokia can provide ‘certified’ reader technology embedded within the handset – thus promoting per-to-peer transactions between handsets. This removes the obstacle of credit card institutions certifying readers as is the case for POS credit card transactions. ►Emerging markets are mostly ‘retail markets’ (consumer driven) as opposed to ‘operator driven markets’ characteristic of the western world (NA, EU, Japan, etc.). Nokia is thus not at the mercy of TELCOs, and has greater control over the definition and design of handset features. ► There are no regulatory hurdles in emerging markets – Nokia can bypass banks and financial institutions to create its own financial services brand. ►Pre-paid is king in emerging markets. A pre-paid SIM card in a handset can thus act as “cash in an m-wallet”. Merchants can accept m-commerce transactions on their handset readers instantly as credits/top-off to their SIM cards. ►Micro-transactions are the norm in emerging markets. The financial risk posed by security breaches are thus mitigated relative to situations involving large-dollar value transactions. ►Nokia possesses significant security expertise within the handset and significant brand recognition in emerging markets. This plays well into its long term strategy of strengthening its “trusted and reliable handset company” image. ►In some emerging markets such as India, banks and telcos are set to push mobile banking and m-commerce, and have agreed on a revenue sharing model to roll out mobile banking. This will only enhance the momentum for NOKIA MONEY, as Nokia will be a central player in enabling m-commerce in this market. The Unique Identification Authority of India (UIDAI) is working on an aggressive plan to issue unique IDs to mobilize m-banking. While individual banks and mobile companies would initially work to create closed networks of m-banking systems, UIDAI and the National Payments Corporation of India (NPCI) aim to mobilize interbanking capabilities by 2011. In summary, NOKIA MONEY could indeed be that profitable revenue machine which transforms Nokia into a formidable services provider it has long yearned for. The question then is — how well will Nokia execute? You are currently browsing the archives for the Wireless Consumer Devices category.